The Majestic Café in Rua de Santa Catarina in Porto is a charming art nouveau establishment opened in the 1920s. The leather upholstery, varnished wood tables, glass, marble and brass fittings were inspired by the classic Parisian cafés of the Belle Époque. 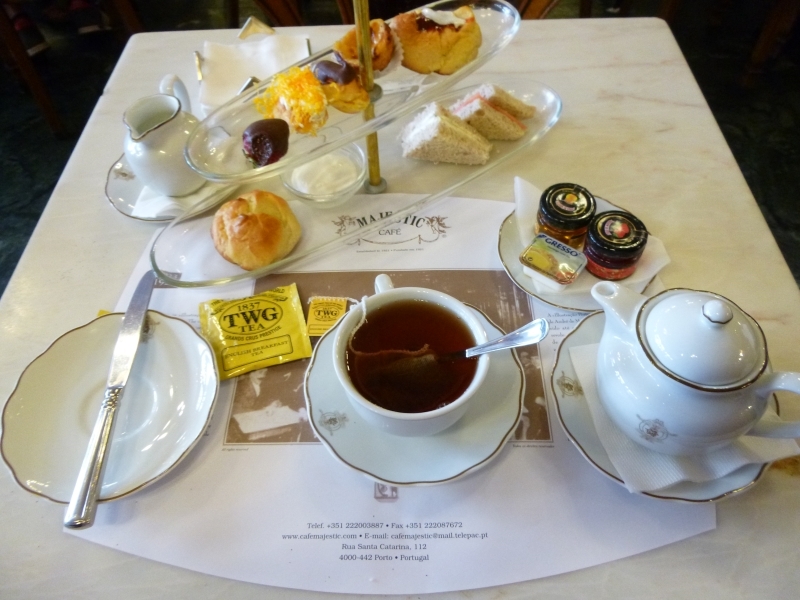 But they borrowed the tradition of afternoon tea from their English friends. I tried it this afternoon: mini sandwiches of smoked salmon, cucumber and cream cheese; scones with butter, cream, honey and jam; a selection of mini pastries; and tea, of course (though you can have coffee if you prefer).